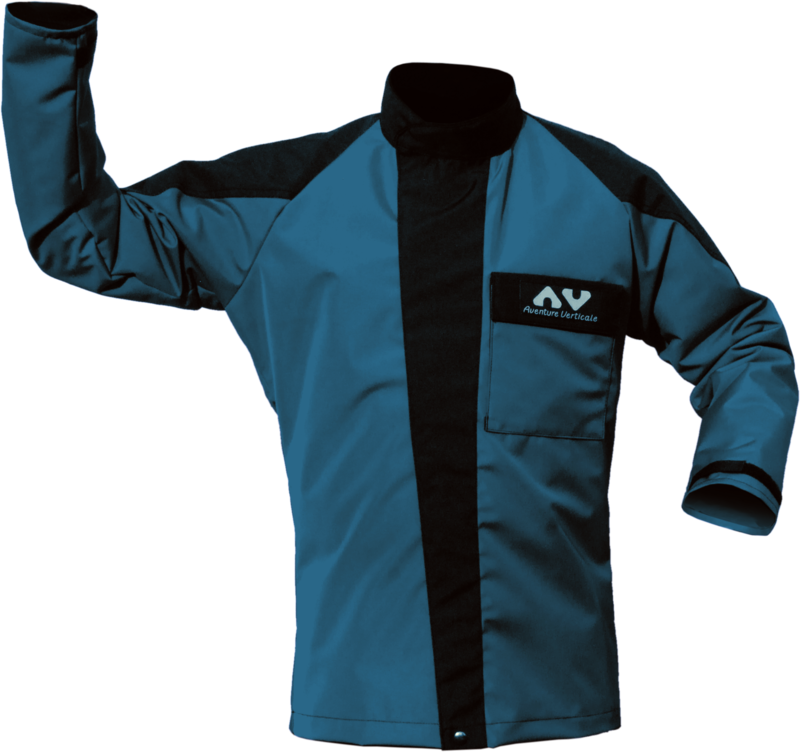 Waterproof jacket in high resistant polyurethane coated polyamide, used as an additional protection over the neoprene canyoning suit. Downward back and large armhole with raglan sleeve for a good cover during large movements. 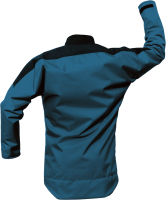 Fleece lined collar. Self grip fastening. 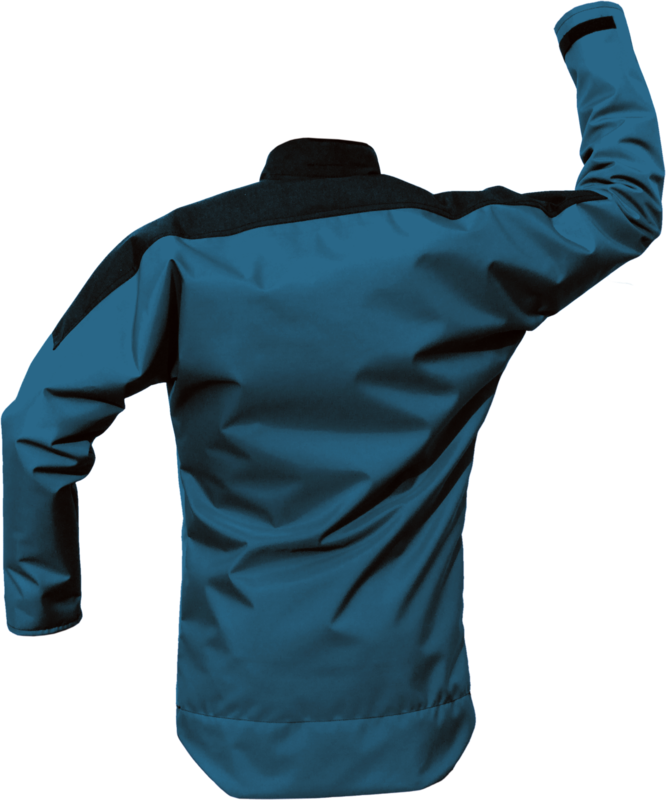 Shoulder reinforcement (stitching of two thicknesses of fabric). A double breast pocket closed by Self grip fastener (horizontal opening under flap, an opening on the side). Tightening adjustment of the cuffs. 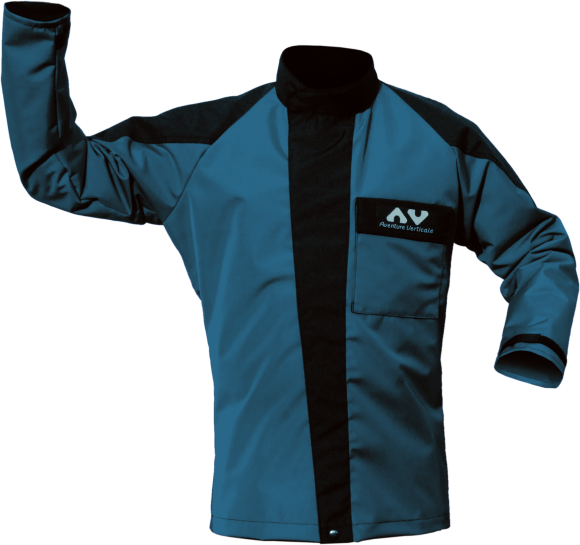 This jacket is used as an additional protection over clothes and undergarment, for work or canyoning. 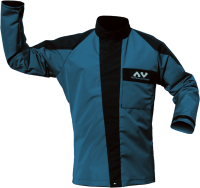 Efficient complement to the Fornocal canyoning trousers AVCA35. Bag in varnished 1100 dTex 680 g/m² and 900 g/m² PVC canvas.